We’ve been training strength for a long time. 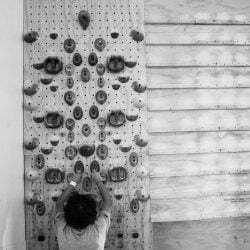 For years, I struggled with just how to fit all the hangboard training, general strength training, and supporting exercises in a normal climber’s week. Many of us try to get by without the extra work, opting to just go climbing instead. A look at the big picture, at the idea of climbing effectively and injury-free over the course of a 30+ year period, forces us to understand that just climbing is not enough. This session takes most athletes about 45 minutes. If you can complete a session in a lot faster than this time, you’re not lifting heavy enough and not trying hard enough on the hangboard. The standard implementation of these sessions is to do them 3x per week for 4-6 weeks in an off-season phase. The sessions can be used in-season once a week to maintain strength. In the Long Circuits variation, the athlete aims to complete two big circuits per session rather than three circuits of three exercises. Each of these big circuits is done 3 or 4 times, depending on the time available and the desired volume of training. 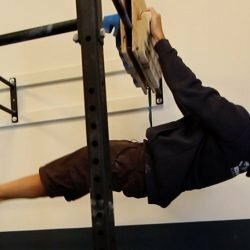 This protocol is excellent for those looking to add a bit of volume to their finger strength, as it allows 6-8 sets each for all three positions on the hangboard. 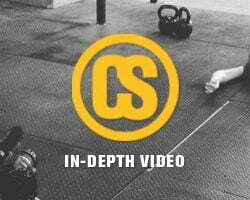 We try to keep the hang times in the 5-10 second range, and aim for bodyweight or simple (i.e. a single weight for all three hangs) loading. Ideally, you’d complete all three portions of the session with just a few minutes’ rest between. If you are dealing with two different facilities, a break of up to about 90 minutes is OK before a full re-warm is necessary. Each of these circuits takes about 10 minutes to complete for 2 rounds. If you have the time and have a need for higher volume, three rounds of each can be completed. If you find that you can complete the circuits significantly faster than this, it’s time to consider whether you are lifting enough weight and using challenging enough hang positions. 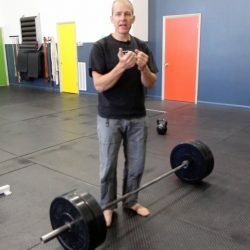 All of the above variants still address the main goals of Integrated Strength: big muscle work with finger strength training, a focus on mobility, and an efficient way to bring in all the critical components of strength for climbing.